We must let the future planning of the Atlanta Beltline be guided by its original priority of transporting people. Along with parks and trails, the Beltline loop needs to create greater connectivity to ensure that people can get to all of parts of the city by utilizing diverse modes of transportation, whether that’s walking, biking, or linking to transit sources. I introduced an ordinance to establish a trust fund to benefit the communities around Turner Field. The trust will collect a portion of the proceeds from the sale or lease of city properties in Mechanicsville, Peoplestown, Pittsburgh, Summerhill, and a portion of Grant Park. The funds will then be used to finance affordable housing, job training, and community development projects in these neighborhoods. I recently introduced an ordinance to amend the City of Atlanta’s policies governing the sale of surplus real estate, to allow surplus City-owned properties to be used to develop affordable housing units. This legislation would enable the City to sell real estate to pre-qualified non-profit developers for $1 to eliminate the key barrier to the development of affordable housing— the cost of land. By helping developers avoid the high costs of land acquisition, the legislation will make such development more feasible and help low-income families. I was proud to author the legislation behind the City of Atlanta’s recent major step toward eradicating homelessness. In July 2017, the Atlanta City Council authorized Invest Atlanta to issue its revenue bonds to fund the new Homeless Opportunity Project, a massive three-year effort to reduce underemployment, unemployment and resulting homelessness in Atlanta. We must continue to work to eradicate homelessness in our community until all residents have permanent housing. 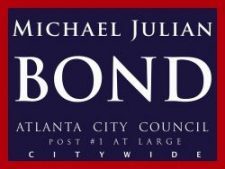 I support an integrated system of transportation both inside and outside the city of Atlanta, working in partnership with other governments around the region. In order to manage current needs and future projected growth (1 million more cars), the Atlanta region must create coordinated transportation linkages that get people out of their cars. The City of Atlanta needs a light rail system that will serve as “spokes in the Beltline’s wheel,” thereby providing more passenger routes inside the city limits. I fully support the investments and comprehensive approach to transportation planning projects in the Atlanta Regional Commission’s 2040 Plan. This plan views transportation planning not only through the lens of land use best practices but also contemplates the impact on the environment and economy. Maintaining a fully staffed police force that is well-compensated is one key to addressing the city’s public safety challenges. Atlanta’s public safety personnel (fire, police and corrections officers) should be the highest paid in the state of Georgia, if not the region. To address salary concerns and attrition, I introduced legislation to create a Public Safety Compensation Commission to define equitable salary numbers, perform annual or biannual salary analysis and make regular recommendations to the City Council and Mayor to ensure that public safety personnel salary data is always current. I would ensure that legislation (12-O-1324) I authored in 2012 to curtail aggressive panhandling would continue to be enforced. Panhandlers are prohibited from continuing to ask for money after they have been told “no” and are not permitted to touch people from whom they are asking money. The very nature and structure of the Atlanta City Council requires collaboration and partnership with Council colleagues. As an At-Large member, I represent the entire city and regularly partner to achieve the needed 10 votes to adopt legislative proposals. Recognizing that the City of Atlanta has local controls that some major cities do not, policymakers must use their power to create new sources of revenue in addition to property and sales taxes. In today’s economy where e-commerce drains brick-and-mortar retail sales taxes and the consumption of goods is increasingly becoming the consumption of services, all cities must create diverse tax bases to assure long-term stability and growth. One option the City of Atlanta should pursue is to request authorization by the Georgia General Assembly to capture taxes from e-commerce/online sales—a rapidly growing industry. Having tight management controls over financial processes, more frequent audits and ensuring that processes are more transparent for the public will build on our current and future financial success. I believe in conservative fiscal management of public dollars and am proud to say that in my 16 years of public service, I have never voted for a property tax increase. The City of Atlanta government has proven in the past eight years that it can manage service delivery well without raising taxes. With this in mind, I introduced legislation to cap annual increases in ad valorem taxes for homesteaded residential and commercial taxes to three percent per year. I am proud to note that upon returning to office in 2010, the first legislation of mine to pass (10-R-0218) was a call for the creation of a municipal option sales tax. I believe that after the expiration of the current one-penny sales tax which is paying for consent decree-ordered improvements, the one-percent tax should be repurposed to fund long-term water and sewer operations. The projects should be placed on a referendum ballot for the scrutiny of the voters and rate payers for each potential renewal. I am a strong believer of ethics and transparency and have been a long-time supporter of the Ethics Office. I recently approved legislation for a request-for-proposals to secure a company to place all financial transactions online for real-time viewing by the public. In 2016, I introduced an ordinance (16-O-3130) that established a commission to collaborate with leaders from the business, government, and education sectors to review best practices from around the country and provide recommendations on creating, growing and retaining “New Economy” jobs in the city of Atlanta. Emphasis is placed on high-growth industries that are on the cutting edge of technology and are a driving force on economic growth such as healthcare, food service, financial and information technology. I also firmly believe in tax allocation districts to attract new companies and industries to bring jobs to Atlanta. The employment needs of the 21st century require that Atlanta Public Schools strengthen STEM (Science, Technology, Engineering and Mathematics) education and related experiential learning. Partnerships between K-12 educational units and collegiate institutions as well as education and business sector partnerships should be developed to expand and reinforce learning opportunities in STEM education, apprenticeships and training. The arts create the non-sectarian soul of any society. The vibrancy and spirit of a community is molded by its arts and cultural life. The City of Atlanta currently mandates that one percent of each construction contract be dedicated to the development of public art. To enhance this effort and support arts organizations, the City should dedicate one to two percent of each annual budget to the funding of the arts. I supported legislation included in the City’s 2017 state legislative agenda that would have given the City the option to hold a referendum to levy a sales tax percentage for the funding of arts organizations. This measure did not pass the Georgia Legislature.